Euro continues forming a descending wave. We think, today the price may complete another descending structure towards the level of 1.3000 and then grow up to reach the level of 1.3145. 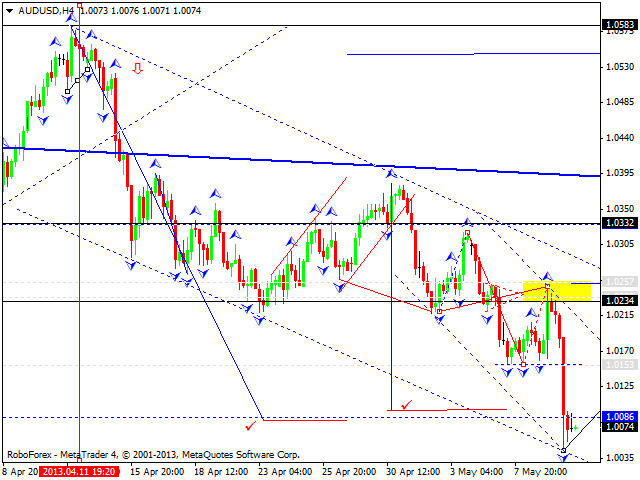 Later, in our opinion, the pair may form one more descending structure towards the target at 1.2990. 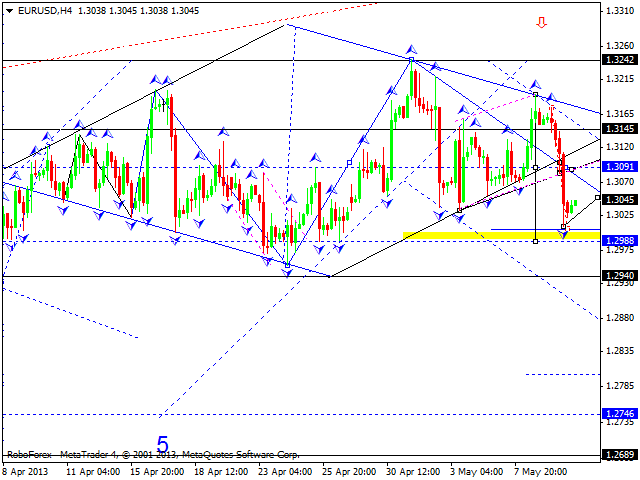 Pound completed a correction by forming a descending structure with the target at 1.5440. 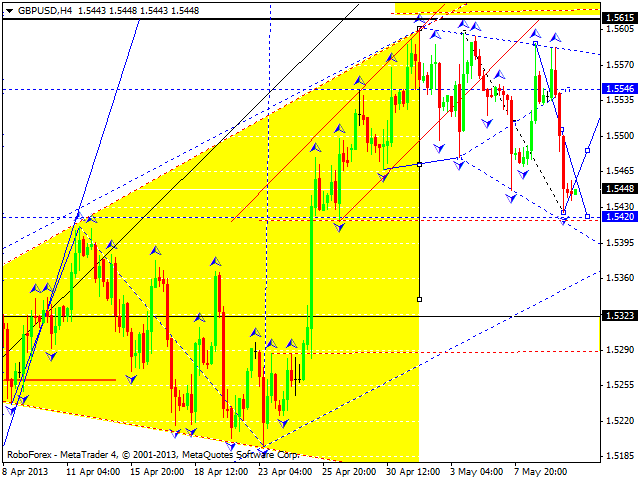 The main scenario implies that the pair may grow up to reach the level of 1.5615. However, an alternative scenario suggests that the price may form one more descending structure towards the level of 1.5420 and only after that start moving upwards to reach the target at 1.5615. 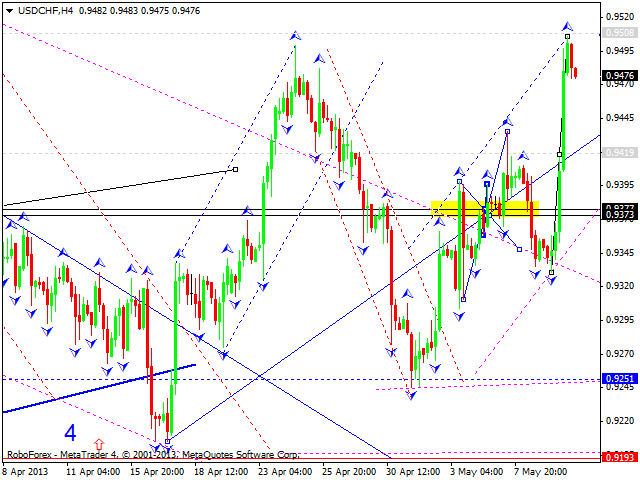 Franc completed a five-wave ascending structure. We think, today the price may form a descending wave with the target at the level of 0.9250 and then start growing up again to reach the target at 0.9540. 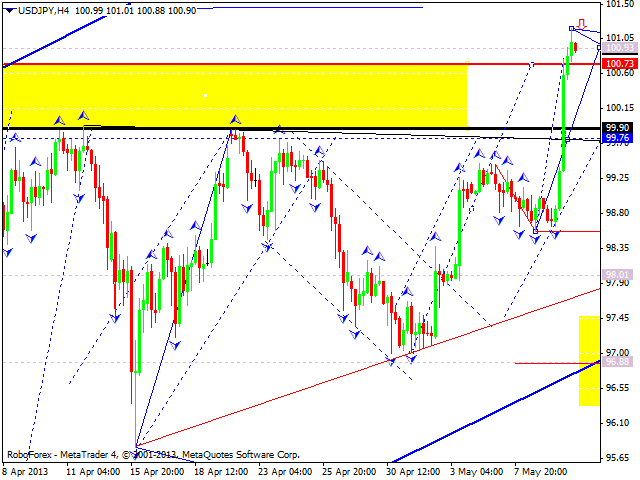 The USD/JPY currency pair reached new maximums and completed an ascending wave. Today the price is expected to look for a spot to form a pivot point. The main scenario implies that the price may start a deep correction towards the level of 88.20. If the price continues growing up, later it will start a rapid descending movement. Any type of reversal pattern at these maximums may become a starting point of a new descending movement at shorter timeframes. Australian Dollar reached the main target of this correctional wave and may fall down a little bit to start forming a pivot point. We think, today the price may break the previous descending channel and form an ascending impulse to start a new ascending trend towards new tops. Gold continues moving inside a consolidation channel. We think, today the price may move downwards to reach the level of 1430 and then start growing up towards the target at 1492. 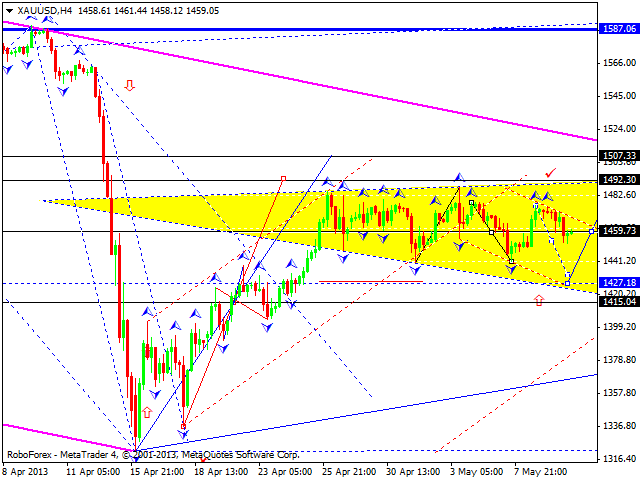 Later, in our opinion, the instrument may start a correction to return to the level of 1415.